Nails 4 Dummies! : Excuses, Excuses! 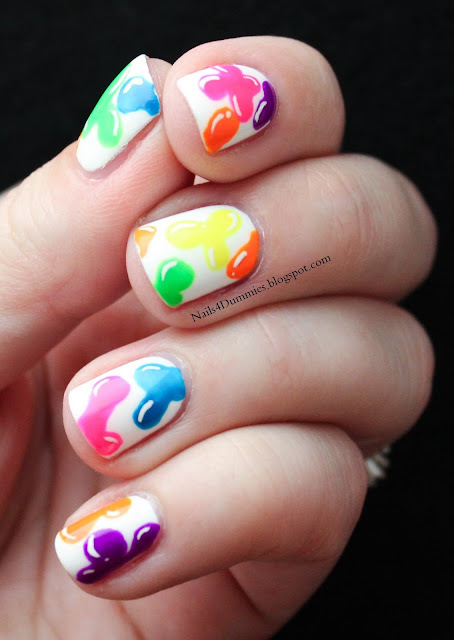 And A Jelly Blob Mani! Excuses, Excuses! And A Jelly Blob Mani! Uhhhh... the dog ate my polish? I got hit by a bus? Aliens abducted me? Are any of those excuses working? No? Okay then... I just got lazy! The trip I took to Oklahoma took a lot out of me from getting ready for the trip to actually going and then recovery time. I have also been really hard on my nails and have been chewing on my cuticles again!!! So my hands are in hiding for a little bit until I can get them looking good enough for a public appearance! Thank goodness I have a few manis saved up for you to look at while I heal! Because trust me, these babies are UGLY! I haven't had anything on my nails for over a month and during that time I've been cleaning, moving furniture and all sorts of harsh stuff and it shows! So whaddya think? The white is Sally Hansen Xtreme Wear - White On. 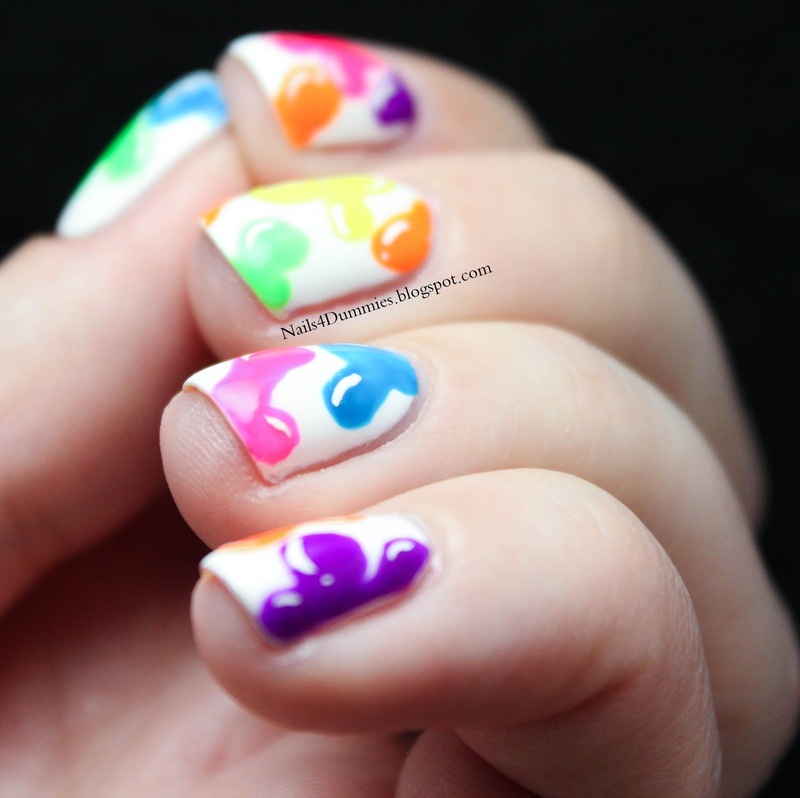 The pretty blobs were made using neon acrylic pain and a dotting tool and were super easy and fun! I sure hope some of you missed me because I missed you all very much! Am I allowed back in the cult community? Pretty please with sugar on top? They remind me of jelly beans! Very cute! too too cute!! welcome back!